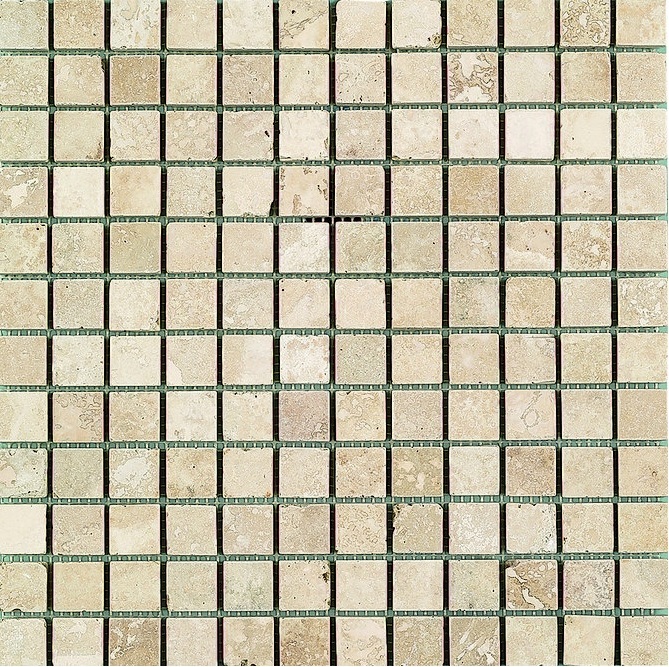 Enjoy the rustic appeal of natural stone in any setting with the versatile Antalya Mosaic tile. This design uses a collection of stone squares showcasing a range of natural tones to create this charming, character mosaic. The mottled colours are soft and neutral so this tile can blend seamlessly with your interior. Whether you use it as a border to add definition to your wall design, or display it over larger areas for a feature effect, this mosaic is sure to impress. 305mm x 305mm per sheet. Sold per box of 10 sheets. 10 – 14 days delivery.